There is actually a Syrian dish that is quite similar. 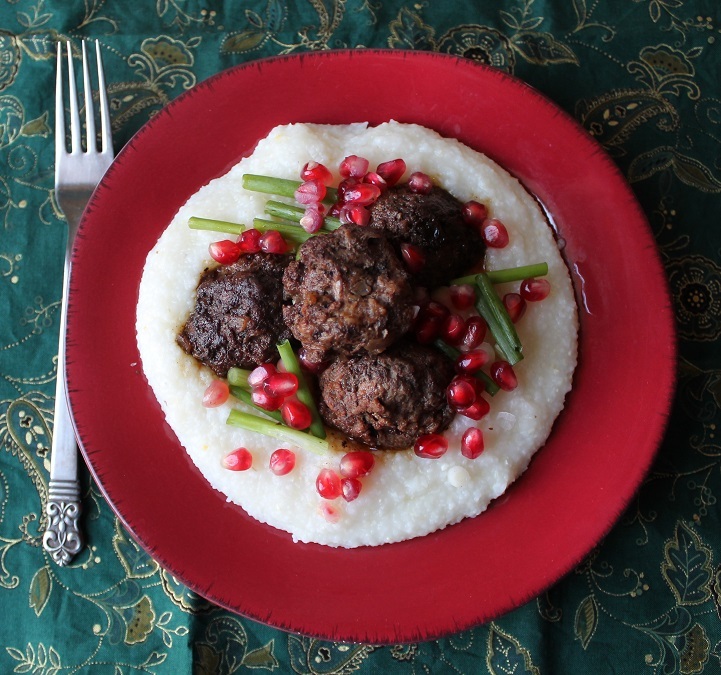 Lightly spiced meatballs in sour cherry sauce, which tastes similar to and sometimes includes some pomegranate molasses. This looks yummy! Oh, that sounds delicious! I have so many sour cherries in my freezer from this spring–I’ll try making the sauce with those next time. Thanks for sharing!